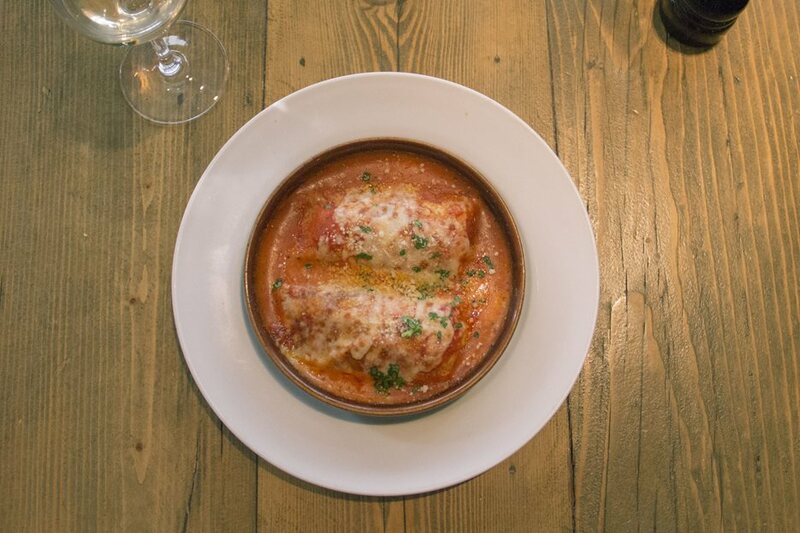 Nestled in a backstreet, just a stone's throw from Oxford Street, Il Castelletto is one of Bloomsbury's tucked away treats, a quaint little Italian you'd fall across and then recommend to your friends for years! Sat just a street down from the British Museum, as you approach, the charming Italian-inspired exterior invites you in to explore Il Castelletto, as well as the rich aroma of herbs wafting out the door. 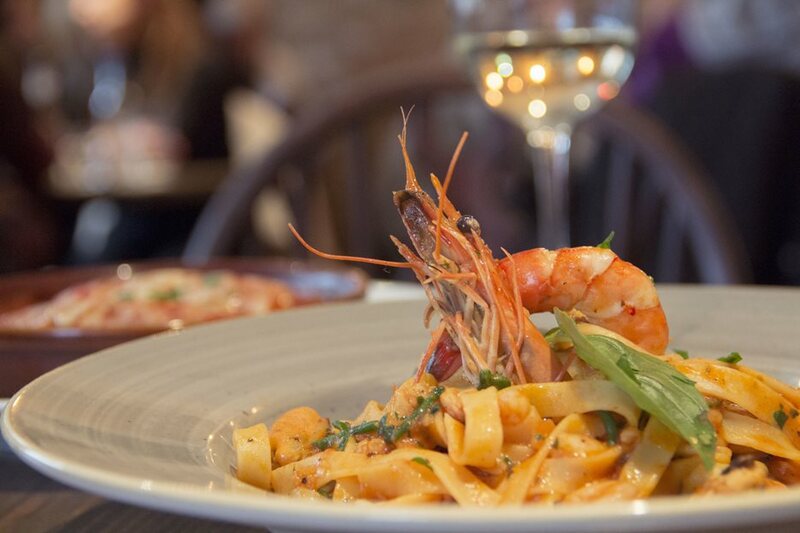 It's a mid-week lunchtime and you'd be mistaken for thinking the restaurant should be sleepy at this time, but there's plenty of people spoiling themselves to a delicious Italian treat this lunch. As we take it the exposed brick back wall, the charming little bar, mood lighting and chequered tablecloths that transport you immediately to a summer's evening in Europe, we take a seat and settle in for a long lunch. Ed Alfredo, who runs the family owned restaurant, tells us that the restaurant has been here since 1971 and has passed down generations. Sat in this fantastic location, within walking distance of Central London's most popular spots, it often catches visitors to the capital as they explore Bloomsbury, as well as being a regular to locals working in the surrounding streets. On Ed's recommendations, we start our meal off with the Calamari Fritti with tartar sauce, the breaded aubergine and Melanzane alla Parmigiana. The food is delicious; the calamari is thickly cut and crisp, the Melanzane alla Parmigiana is succulent and rich without being too heavy. And it's all washed down with a glass of Montepulciano, a classic Italian red that goes down a treat. For main, we try the Scalloppine Valdostana, veal topped with parma ham and parmesan cheese with potato rostis on the side, and Spaghetti alla Meatballs, a classic. The flavours are incredible, it's a true hearty Italian meal - authentic and delicious - a difficult find when you're in such Central London. We leave Il Castelletto full and content and the best bit is, the menu's got so much more to offer - I guess we'll have to come back again! If you're out in Central London, why not take the 7 minute walk from Tottenham Court Road and enjoy an Italian at Il Castelletto. With such an amazing Portico Places deal too, head over to their website, explore the menu and book yourself a table now! Enjoy 25% off the bill with your Portico Places card.